Born and raised near Fishing Lake, in eastern Alberta. This illustrator, painter and animator now (2017/8) lives in Vancouver, where he has produced animated shorts for the children’s series Nehiyawetan on the television specialty channel APTN. He is lead artist on the animated series “Amy’s Mythic Mornings” created by Delores Smith and Daryl Whetung and produced by GFZ Studios of Vancouver. It also appears (2017/8) on the APTN channel. In November 2011, he was a special filmmaker guest at the inaugural at the Vancouver Indigenous Media Arts Festival chosen for his work in film and animation. Front: Moonshot: the Indigenous Comics Collection . Alternate History Comics Inc. 2015. Front: Moonshot: the Indigenous Comics Collection, vol. 2. Alternate History Comics Inc. 2017. Moonshot: the Indigenous Comics Collection Alternate History Comics Inc. 2015. “Indian Planet.” Moonshot: the Indigenous Comics Collection, vol. 2. Alternate History Comics Inc. 2017. “Thunderbird.” Moonshot. Alternate History Comics Inc. 2015: 160-161. “9 Mile Lake.”Writ., Tanya Tagaq. 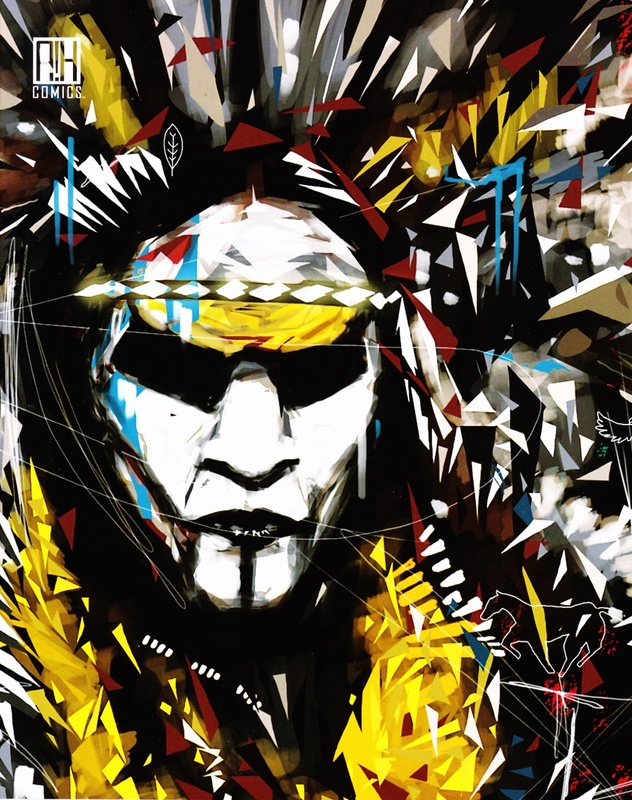 Moonshot: the Indigenous Comics Collection, vol. 2. Ed., Hope Nicholson. Alternate History Comics Inc., 2017: 82-83. From, Moonshot, 2015: Front cover.